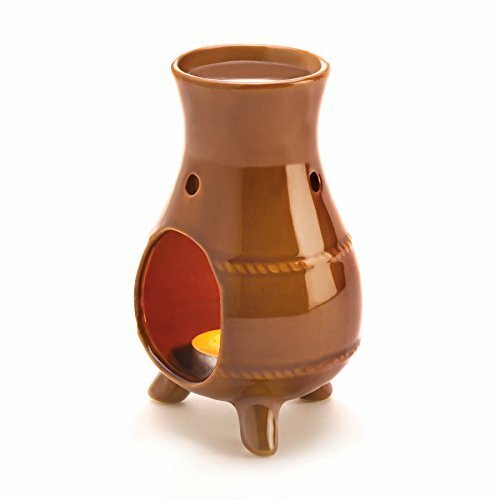 An ode to old-world ovens with mixed matte and gloss terracotta finish and southwestern design, this ceramic oil warmer is a pleasing sight as it fills your room with a pleasing scent. The opening in the side welcomes at tealight candle, while the reservoir at the top accepts fragrant oil; light the candle and enjoy! 3?" x 3?" x 5" high. Ceramic.